Limitations all over the place – Water tanks are limited to certain capacity so the ‘water saving mode’ is always in power. Forget about singing opera under the shower. Doing dishes also requires the use of some special techniques. The same applies for power consumption. All water pumps, the water heater, fridge and freezer, as well as lights, hi-fi and other devices, are run by an electric current from batteries. In the case of a longer stay afloat, the economical use of the power is essential. Long distances – Regardless of the real distance between destinations, sailing could seem very slow and boring and distances endless to first-time sailors. One should understand that a sailing yacht is not to be considered a vehicle which transports you from point A to point B, but a life philosophy of traveling. On the other hand, there are no rest areas like there are on a highway. In the case of boredom or exhaustion, one has to wait until docking at a destination to stretch legs and visit a bar. Interpersonal relations – Choosing the crew for your sailing holidays is a very tricky task in terms of temperament and attitude of every personality on board. Since there is little space on the yacht, and there are all sorts of limitations, people get grumpy or nervous much more easily than ashore. 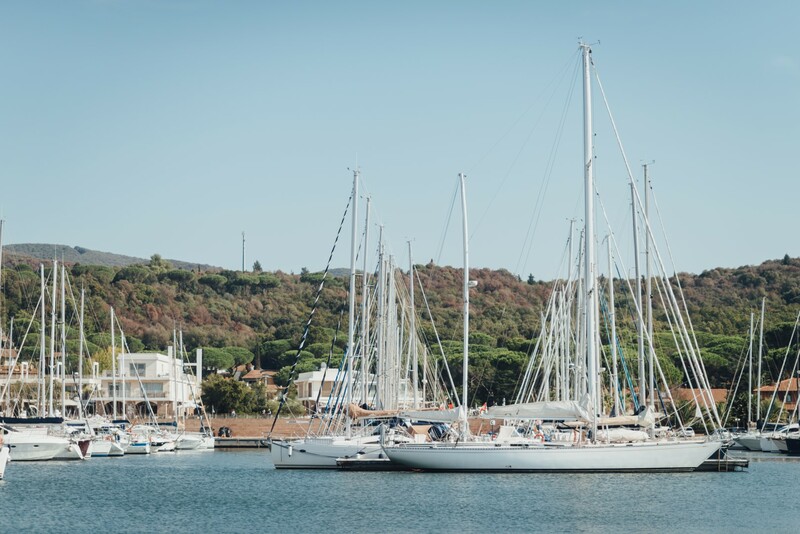 Temperature – The majority of sailing yachts are built with only basic isolation so living on board could be either very hot (summer) or very cold (winter). One should have in mind that air conditioners or heaters cannot provide you the ‘chamber temperature’ like they can at home. Seasickness – Seems to be a great problem to people who cannot bear the motions of the yacht. Medications that help you with seasickness are usually directed against the symptoms and do not solve the problem completely, while people who take such pills get very sleepy after consumption. Bracelets against seasickness are useful but I think that the major problem lies in not being fully relaxed, both physically and mentally. Storage place – All the things that you intend to store while having a sailing holiday have to be strategically planned. Shoes and clothes, fins and goggles, food and drinks all have to be put in a few trunks and small cupboards so be a minimalist when packing your luggage. IT management – Modern life these days is difficult to imagine without the internet and mobile devices such as smartphones and tablets. The lack of signal service appears to be a great problem to those who cannot live without Facebook and Twitter. Even though your yacht is equipped with an internet wi-fi router, the signal is not always available in certain sailing areas or pristine coves. The problem with authority – There can be only one captain (master) aboard, whom every crew member has to obey at all times. If the captain happens to be your boyfriend, fiancé or husband (or the other way round), then there is no other way but to leave the yacht if you do not like orders and decisions sent from the helm. Feeling of freedom – one is absolutely free to decide when to wake up and go to sleep, where to head to, how long to stay at a certain place or what and when to drink and eat. Opposite perspective – the beaches and coves on islands are usually seen from the coast. From the sailing yacht, one has a chance to see them from the sea, which provides a different sensation and creates a different image of a certain place. Furthermore, some interested spots are reachable only from the sea, which gives additional value to sailing holidays. The full experience of the nature – sailing the seas involves the constant and direct feeling of the nature. The sailing yacht is powered by the wind that is felt in your hair and all over your body, while every wave is moves your body in all directions as it rocks the surface. Once you anchor your yacht in a pristine cove, all you can hear are sounds of nature – the wind blowing through the trees, the waves breaking over the rocks, and the restless song of the crickets. A sudden summer shower or thunderstorm will give you a less romantic sensation but it is still pure nature. Every day tells you a different story – spending holidays at a hotel resort or a rented apartment usually implies a week of seven days which are more or less the same. Waking up at the same time, going to the same beach, having an ice-cream or a cocktail at the same place, meeting the same people every day… OK, I might be too strict at this point but I think I am not too far from the reality. Sailing aboard a yacht, you will find yourself every day at different but equally beautiful beaches, bays or coves, you will see more than one interesting village, port or town, while there is a variety of people that you might meet at the anchor, in a marina or ashore. On the other hand, sailing on a yacht, you can avoid all of them if you like. Joy – last but not least, the joy you feel while traveling under sails is more or less inexplicable, but ultimately pleasant! 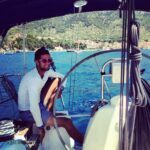 As I have mentioned earlier, this post was very difficult to complete because I see very few cons in regard to sailing holidays while pros are self-explanatory. However, I am still interested in your opinion about the good and less good sides of sailing because I believe that everybody can enjoy sailing holidays if they prepare themselves in advance. Last but not least, one should keep an eye on their expectations because, in most cases, they lead to disappointment. Feel free to come to us with your experiences and expectations so we might ‘create’ more fans of sailing holidays. I love how you said that going on a sailboat is a great way to experience nature because of how you are exposed to it. Going on a sailboat tour or something like that seems like a really great way to accentuate a vacation. My wife and I will have to look into it when we travel to the west coast later this year.